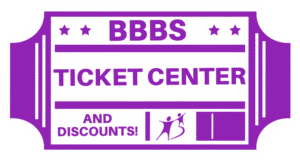 *Welcome to the BBBS Ticket Center! 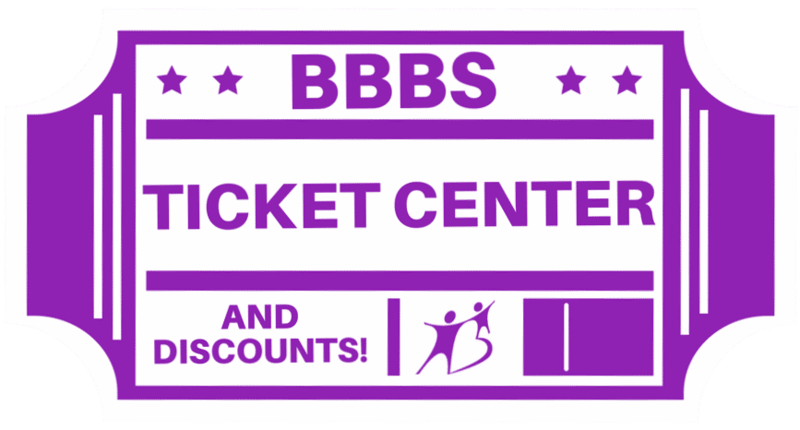 Wondering what tickets BBBS has available for you and your Little? Look no further! Check out the current listing of available tickets below. In the past we’ve given away tickets to the Vikings, Twins, the Wild, as well as the Minnesota Children’s Theater, special concert tickets and more! Make sure to check back often, and when you’ve found something perfect for you and your little, fill out the Ticket Request form. Please note: ONLY Bigs & Littles can request tickets or use discounts. All tickets must be requested using the Ticket Request form. You will get a response only if the tickets are available to you. If there are special instructions they will be noted below. Unless otherwise noted, all tickets must be picked up at the BBBS Office in St. Paul, 2550 University Ave W, Suite 410N, St. Paul, MN 55114. MN Twins vs Toronto Blue Jays Thursday, April 18th at 12:10 pm. MN Twins vs Houston Astros Tuesday, April 30th at 6:40 pm. MN Twins vs Houston Astros Thursday, May 2nd at 12:10 pm. Party girl Violetta gives up the fancy life to live with her devoted lover in the quiet countryside. When his old-fashioned father objects to their romance, she makes the heart-wrenching decision to leave her beloved. Verdi’s undeniable favorite that inspired Moulin Rouge and Pretty Woman is a timeless tribute to what it means to live and die for love. Sung in Italian with English translations. Run time is 2hr 45min including intermission. First time attending an opera? Check out our First Timer’s Guide! Please note: Tickets are meant to be used as an activity for you and your Little. Please check your Little’s availability prior to submitting a request. If you have received tickets in the last two weeks please allow a few days for others to request tickets. Do you have tickets you would like to donate? Give us a call at 651-789-2400! No tickets available? No problem! Matches get all kinds of deals around the Twin Cities. Check out the list below for opportunities for you and your Little. Please note: You must present your Match Card to receive these discounts. Tuesday – Friday: 9:30 a.m. – 3 p.m.
Discount:Buy one Big admission, get one free Little admission. All equipment is furnished and basic lessons are included. Monday – Friday: 10 a.m. – 9 p.m.
Sunday: 11a.m. – 4 p.m.
Cheap Skate, Fun O Rama Inc. Hours: Tuesday – Friday: 10 a.m.-4 p.m.
Discount: Free admission for Little with a paying Big – Not valid with special engagement films. Discount: Broadway shows at a student discount rate. Tickets range from $23-$47 per ticket. Go to the website to order tickets using the promo code: bigs (not case sensitive). * Open Memorial Day & Labor Day 10 a.m.-5 p.m.
Wednesday – Saturday: 10 a.m. – 3:30 p.m.
Sunday: 1p.m. – 3:30 p.m.
Waivers must be done by a legal guardian, and can be done online ahead of time here. Bouldering is accessible to all ages and skill levels! Hours: Wednesday: 10 a.m. – 4 p.m.
Tuesday – Thursday 12 p.m. – 8 p.m.
Friday – 10 a.m. – 9 p.m.
Saturday – 10 a.m. – 8 p.m.
Sunday – 12 p.m. – 6 p.m.
Tuesday – Thursday 4 p.m. – 8 p.m.
Friday – 12 p.m. – 8 p.m.
Discount: Buy-one-get-one game of laser tag and 2 free shoes for bowling! Bigs and Littles will receive this offer when they show their Match I.D. card! The coupons will be available at the front desk. Hours: Tuesday – Friday: 10 a.m. –4 p.m.
Saturday –Sunday: 12 p.m. –4 p.m.
Discount: Use BBBS ID #166227 to get $3 per person for exhibits only; $5 per person for exhibits and the Omnitheater. Bigs will be asked to verify our agency’s address (2550 University Avenue, Suite 410N, St. Paul, MN 55114) and our phone (651.789.2447) when they call for discounts. Hours: Sunday:9:30 a.m. – 5:00 p.m.
Tuesday:9:30 a.m. – 5:00 p.m.
Wednesday:9:30 a.m. – 5:00 p.m.
Thursday – Saturday 9:30 a.m. – 9:00 p.m. Hours: Sunday:10:00 a.m. – 6:30 p.m.
Monday – Thursday 10:00 a.m. – 7 p.m.
Friday: 10:00 a.m.- 8 p.m.
Saturday: 9:30 a.m. -8:00 p.m.
Waivers are required. They can be found on their website. Hours: Monday – Thursday: 11 a.m. to 8 p.m.
Discount: $11.00 for 1 hour of jumping/person (includes socks). Discount: Must present Match Card to receive one free hour of 1 multi-user product or 2 single-user products. Not valid holidays or holiday weekends. Not valid with any other offer. Can only be used once per day.